1. Improved compatibility of Webcam device recognition. 2. Added 'Aspect ratio' option menu in 'Device Recording' mode. 3. Added the webcam Connecting... screen. - The mouse cursor was recorded in the wrong position. 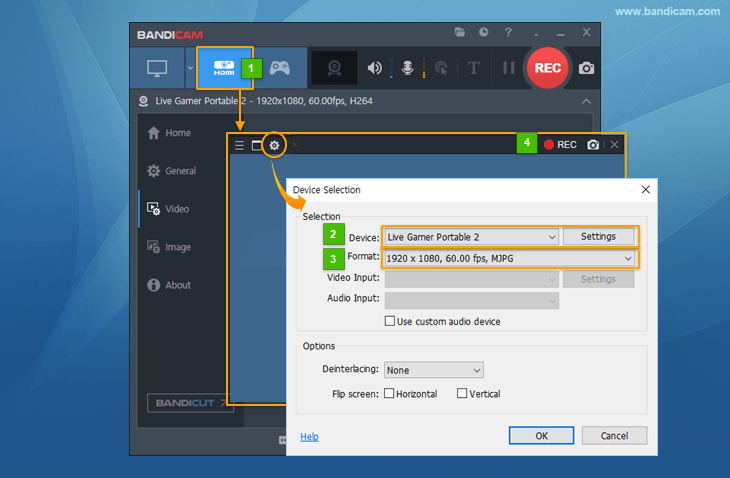 - Bandicam didn't start recording in 'Screen Recording' mode on some computers.